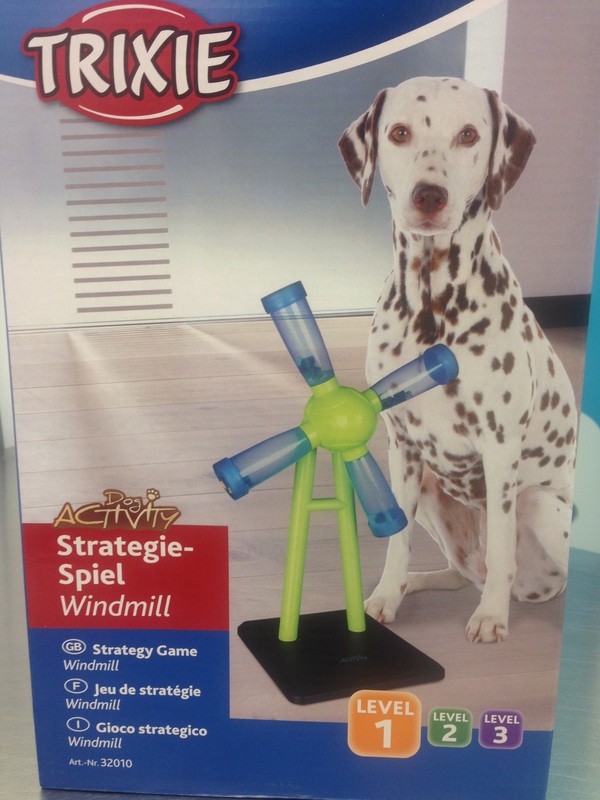 The Windmill is a food dispensing toy originally designed for dogs that is actually an excellent feline toy. It comes with interchangeable lids allowing it to accommodate a variety of kibble sizes and skill levels. Once they get the hang of it the kitties seem to view it like a slot machine food dispenser! It can be a little challenging to learn the skill initially. Stick with it and let us know if you have difficulties teaching your cat this game, we can help! That's right, it is a dog toy, that is excellent for cats!